Children’s services in Wales are nearly “at crisis point”, according to the body that represents councils. The latest figures show that there has been a 149% increase in the number of court applications to remove children into care over the last nine years. The Welsh Local Government Association (WLGA) said councils faced a rising caseload with restricted budgets. 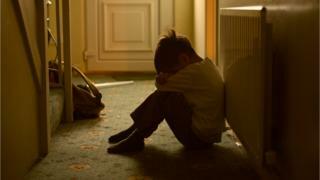 The Welsh Government said it recognised the pressure on councils and had taken action to support families. A “section 31” court application is made by a council if they want to take children into care because they have evidence of harm or likelihood of harm to the child. Figures from the Children and Family Court Advisory and Support Service show the annual number of applications rose from 422 in 2008/09 to 1,050 in 2017/18. The WLGA said although councils were coping as well as possible, the situation was not sustainable. “The system is very near at crisis point,” said Geraint Hopkins, deputy spokesperson for children at the WLGA. Mr Hopkins added: “Unless we significantly look at the resources available to children’s services in Wales and the important early intervention methods that we take to try and prevent children coming into care then we’re going to be in serious trouble. Sarah (not her real name) complained to the Public Services Ombudsman about her son being taken into care three years ago. The ombudsman’s investigation found it was appropriate to remove him, but the way it was done was “inadequately planned and poorly executed”. He said there were significant failings on the part of the council and upheld Sarah’s complaint. Social workers asked Sarah to sign a handwritten note to show that she agreed to her son staying with a family friend for one night. The Ombudsman’s report said the note was “inadequate” and “of dubious validity”. As a result he said he was not convinced Sarah “was in a position, or was given the opportunity to provide fully informed consent” to the indefinite removal of her child. Sarah said that she was shocked at what was happening. She said: “He took a few things, his teddy bears, his pyjamas, his toothbrush and his school uniform, his bag and his lunch for the next day and off they went. The ombudsman found it was reasonable to take the boy into care, but “there is some uncertainty, given the council’s poor record keeping, whether other precautionary action could have been taken sooner”. The council responsible apologised and agreed to implement the recommendations made in the report. Professor Judith Masson, from the University of Bristol, said there were many complex reasons why there had been a rise in section 31 applications. She said that there had been a population increase and that there were more care proceedings brought for children over the age of 13 compared with previous years because of more awareness of child sexual exploitation. She added that drinking, drug use and domestic abuse have increased too – all factors leading to section 31 applications. “These are just a couple of the reasons. There’s a whole variation of policies and practices that can lead to these increases over time,” she said. Overall there were around 5,955 children in care in Wales in March 2017 compared with 4,695 in March 2009 – a rise of 27%. Six councils had a drop in the number of looked-after children – Denbighshire, Ceredigion, Carmarthenshire, Swansea, Neath Port Talbot and Newport. The average cost of a foster placement provided by local authorities is around £23,327 a year, while those provided by an independent agency cost £43,378 on average. Residential care – for example a children’s home – is generally more expensive and costs can range between £2,500 and £16,000 a week. A Welsh Government spokesman said it recognised the pressures being placed on local authorities. Why can't this boy go to school?